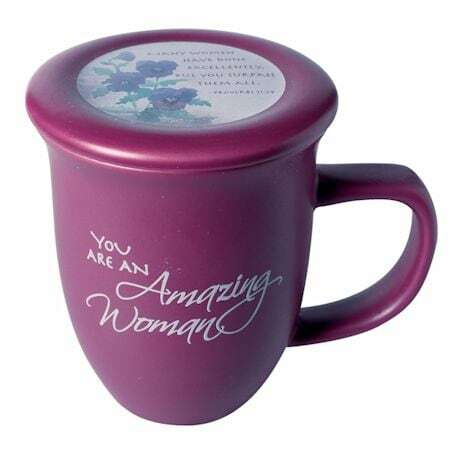 Buy 2 for $9.99 Each! EXCLUSIVE! 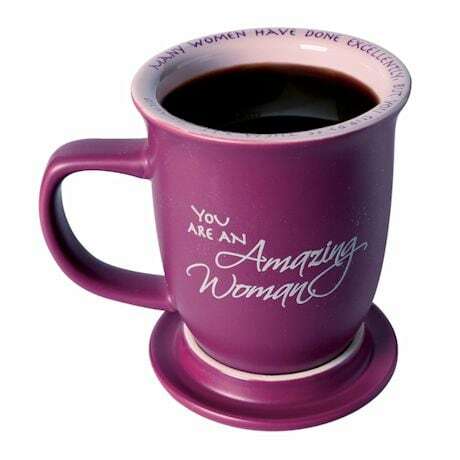 The outside boldly proclaims, "You are an amazing woman." Written on the rim, words from the Bible will lift her heart even more: "Many women have done excellently, but you surpass them all"-Proverbs 31:29. 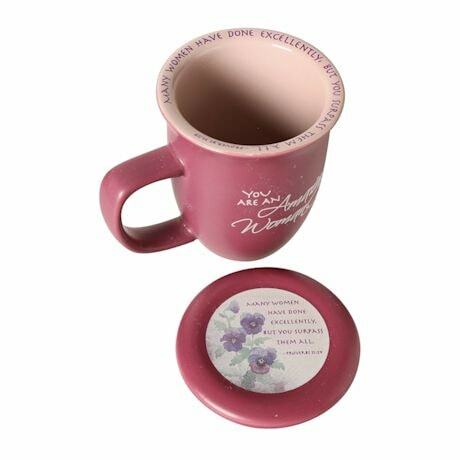 The verse also appears on a coaster that doubles as a lid, keeping the contents warm between sips. 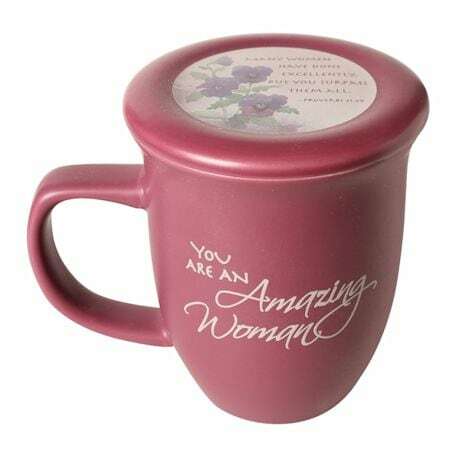 4½" ceramic mug holds 14 oz.